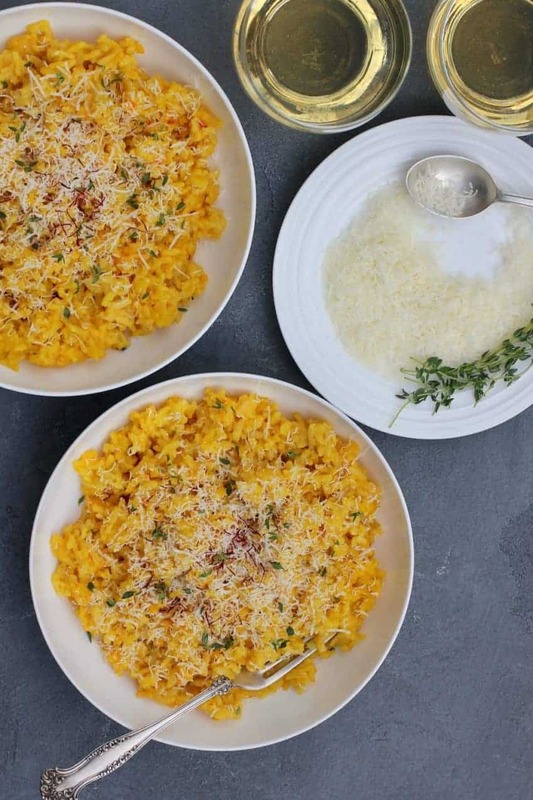 Saffron Risotto, rich and creamy Italian comfort food with pillowy grains of rice is cooked in aromatic saffron, wine and parmesan cheese. 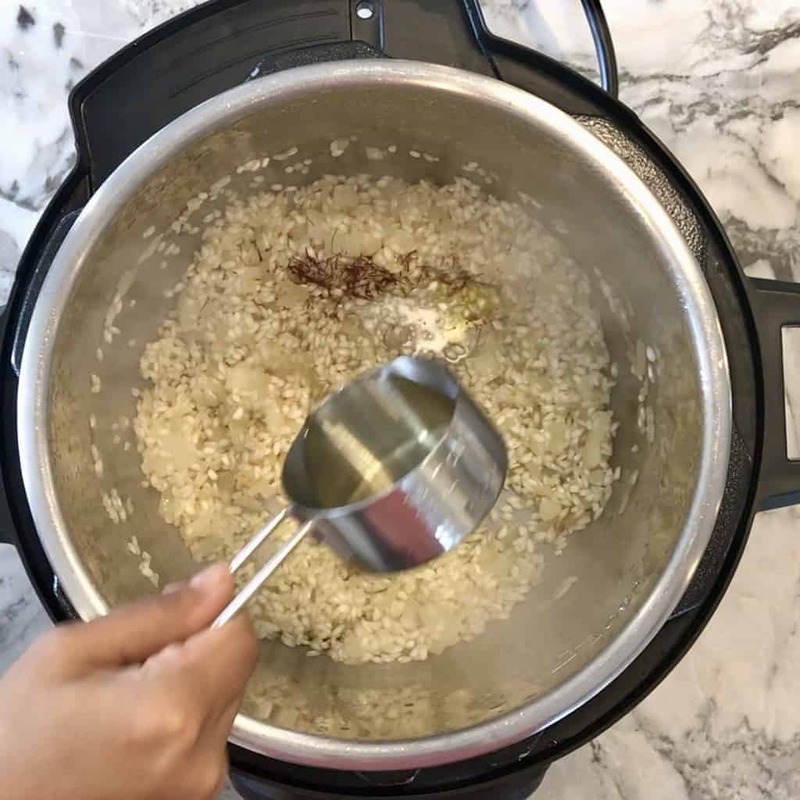 An epitome of Italian home cooking, I love how Risotto is cooked to perfection with the ease of Instant Pot. 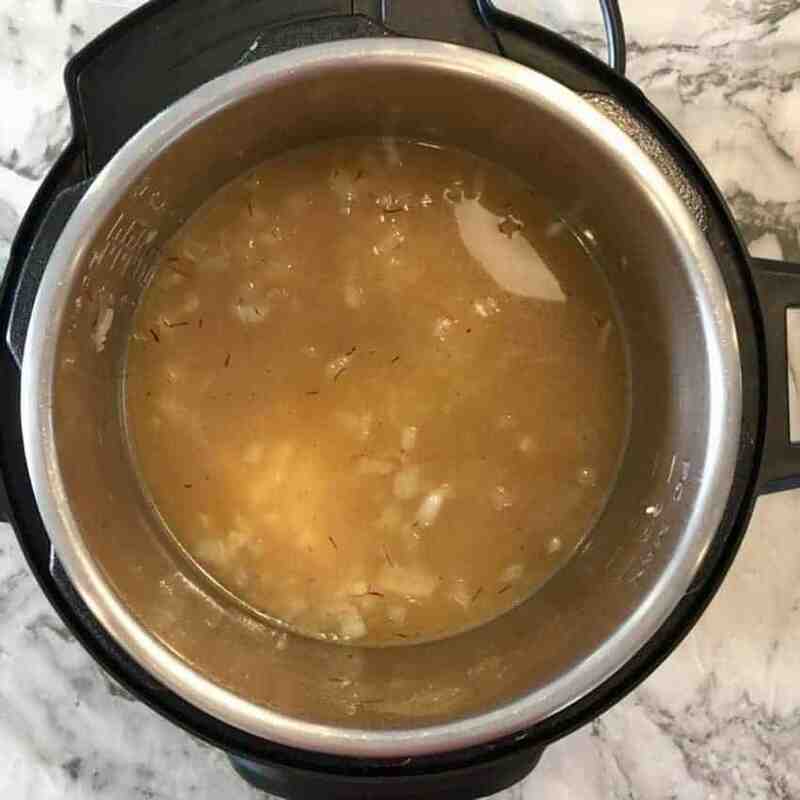 No more stirring, simmering and guessing for doneness as the Instant Pot makes it almost handsfree. 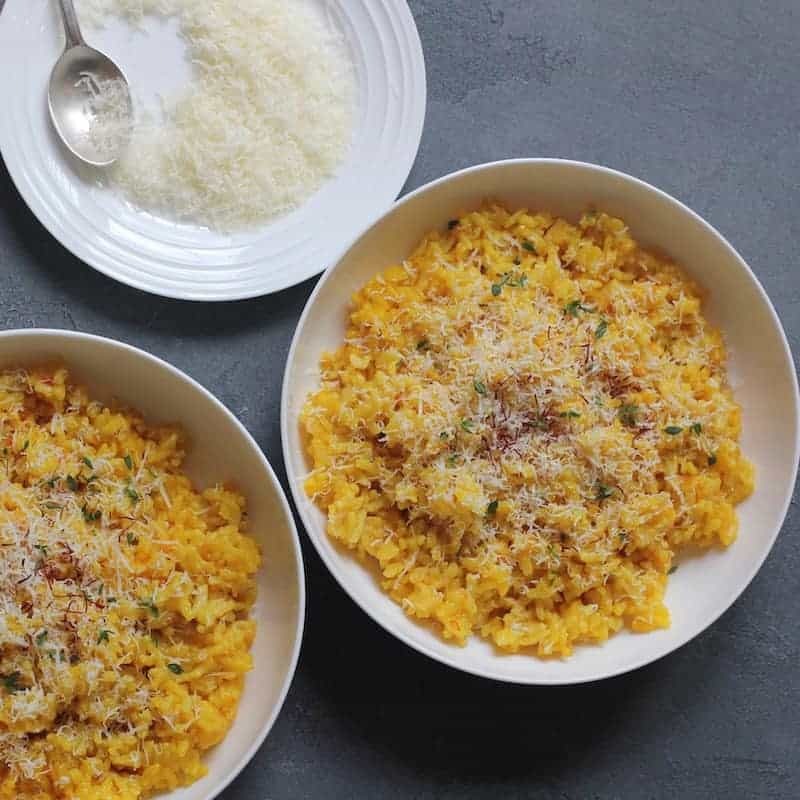 Risotto is a classic Italian side-dish cooked in broth for a creamy consistency. 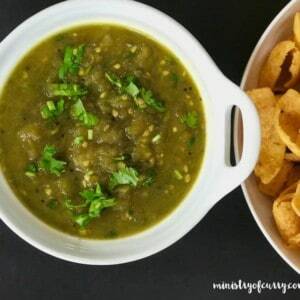 It often reminds of the comforting khichdi in Indian Cooking. 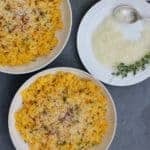 Unlike khichdi which is made with rice and lentils, Risotto is cooked with rice, onion, broth, butter and wine. Risotto makes a great side dish that can be easily paired with proteins such as beans, fish, chicken etc to make a complete meal. 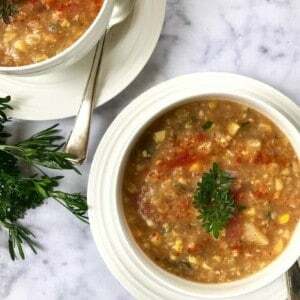 I have used arborio rice in this recipe as it is readily available in grocery stores. But we also love carnaroli rice and vialone nano rice both of which are found in specialty grocery stores. Make sure to toast the rice in the oil and later saute well in the wine. This will unlock the nutty flavors and aromas. Use a dry wine like Pinot grigio. I have also used leftover rose and it works great. Wine stores also carry mini wine bottles by Sutter home that come in handy when you do not want to open a big bottle just for cooking. 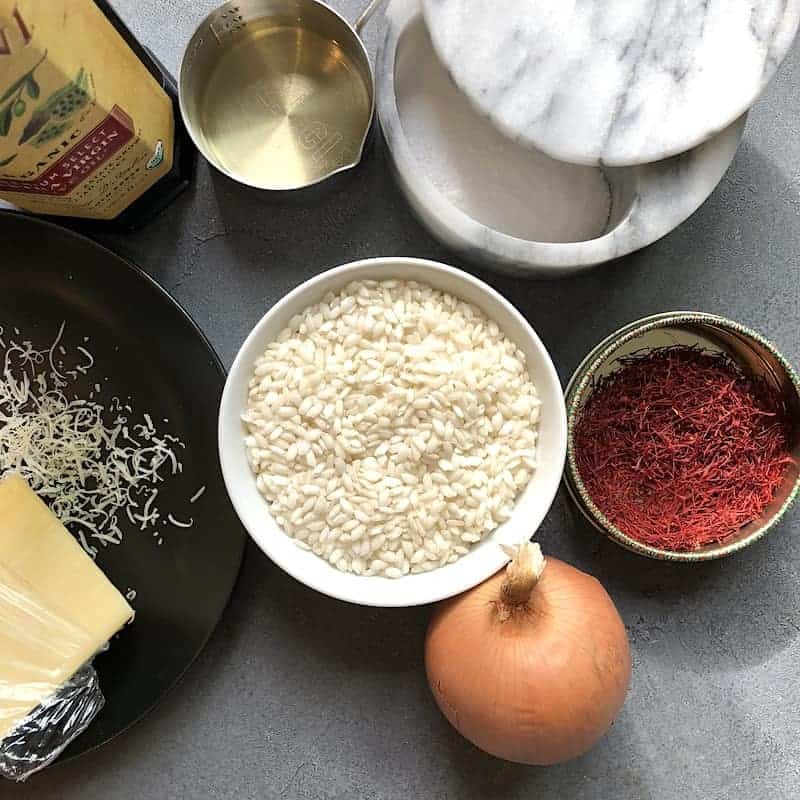 Enjoy a bowl of warm Risotto as is with freshly grated parmesan cheese and thyme or chives. Serve with seared fish or scallops for a complete meal. 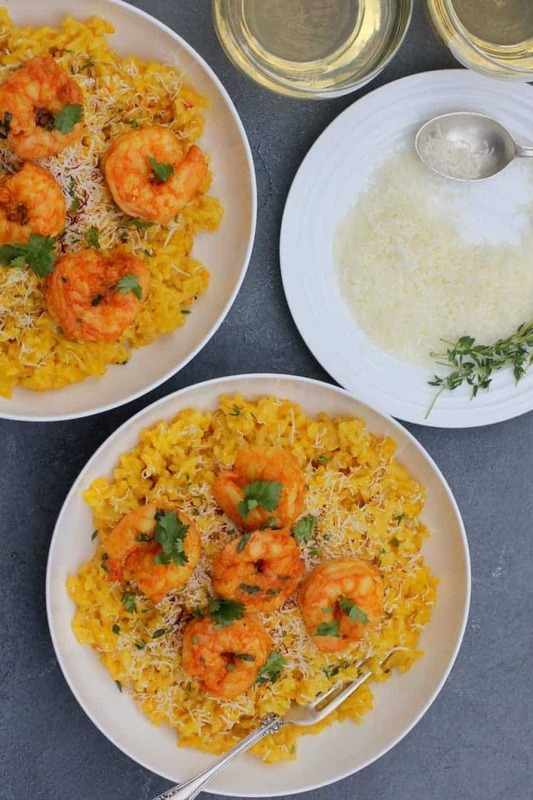 Serve with curried shrimp, for a fancy dinner. This is our favorite way to enjoy. 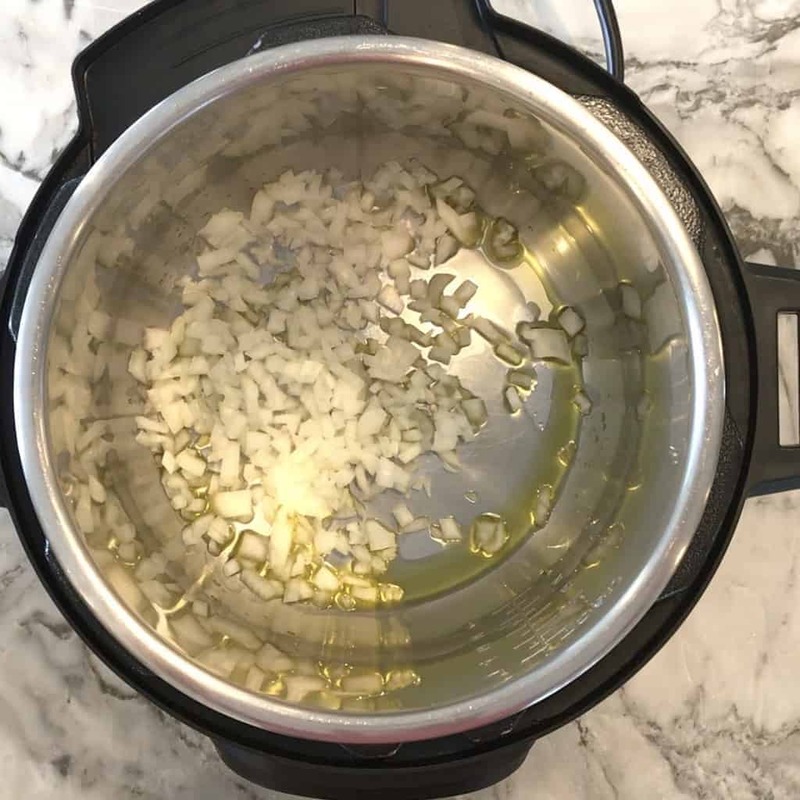 Turn the Instant Pot to Saute mode and heat olive oil. Add onions. Saute for 2 minutes stirring frequently. Add rice and salt and toast for 2 minutes. Add saffron & wine and continue to sauté for another minute or until the wine has been absorbed. 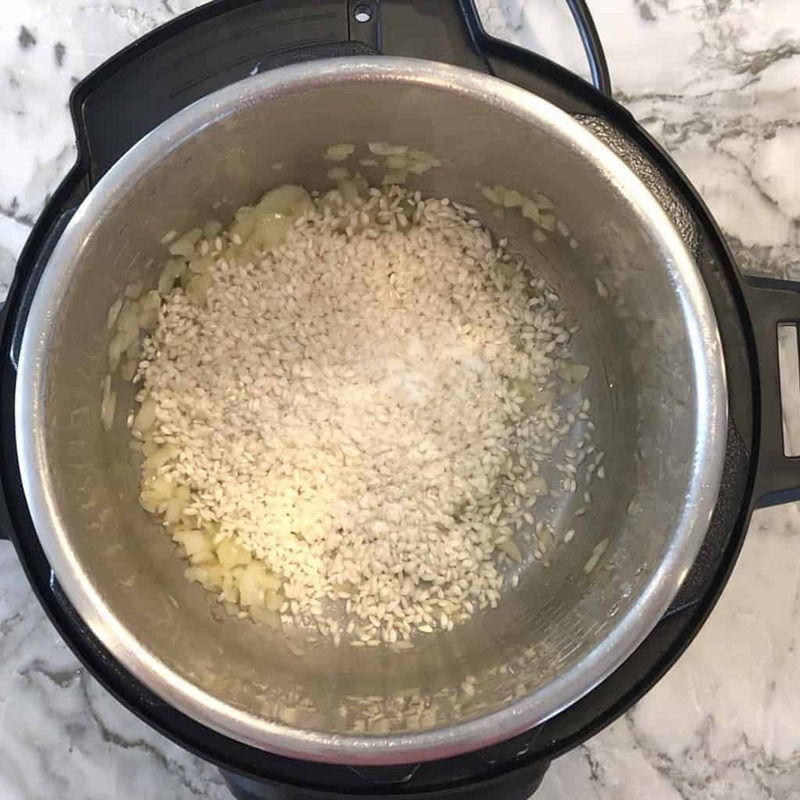 Stir in broth, Close the Instant Pot lid with Pressure Release to sealing. Set the Instant Pot tp Manual /Pressure Cook(High) for 6 minutes. Follow with 10 minutes Natural Pressure release. 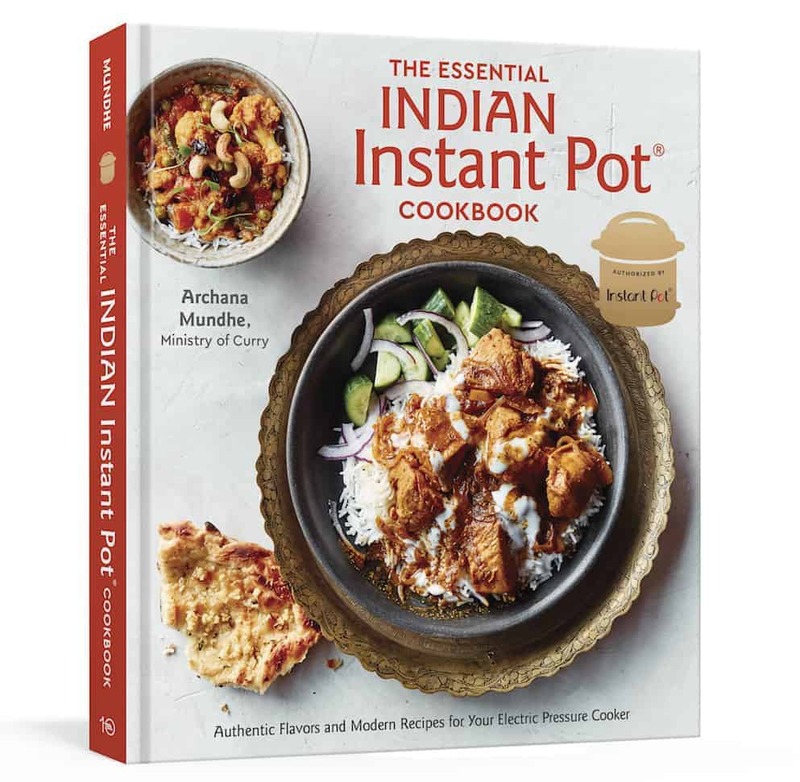 Open the Instant Pot. Stir in butter and parmesan cheese. While serving add more parmesan cheese, black pepper. Optionally garnish with thyme and crushed saffron. 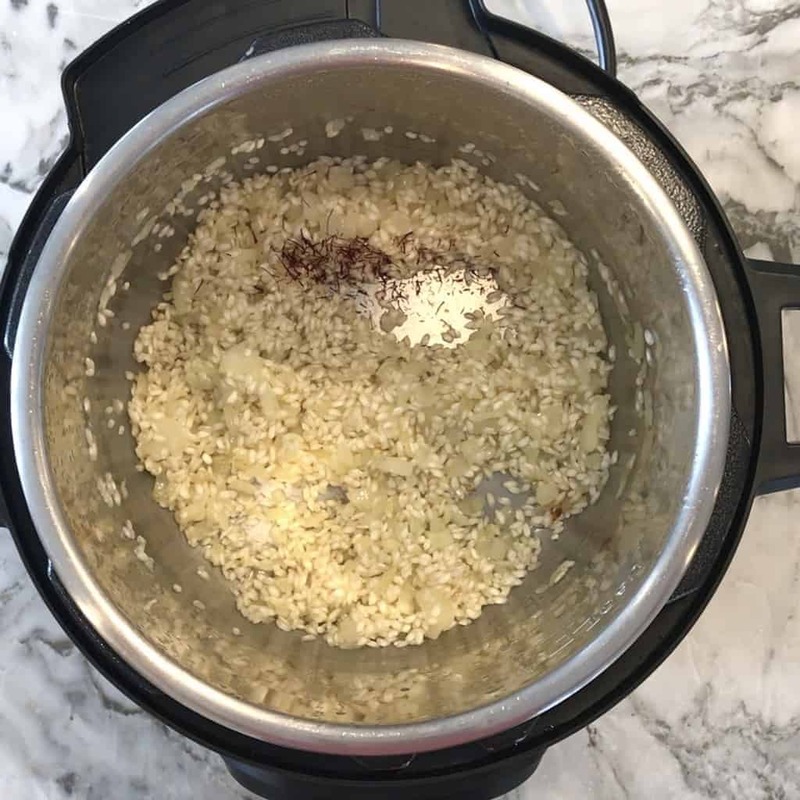 Turn the Instant Pot to Saute mode and heat olive oil. Add onions. Saute for 2 mins stirring frequently. Add rice and salt and toast for 2 mins. Make sure to toast the rice well to unloak the nutty flavors. Add saffron & wine and continue to saute for another 1 minute or until the wine has been absorbed. Stirring frequently so the rice does not stick to the pot. Stir in broth, Manual / Pressure Cook (High) for 6 minutes. Allow 10 minuts Natural Pressure release. 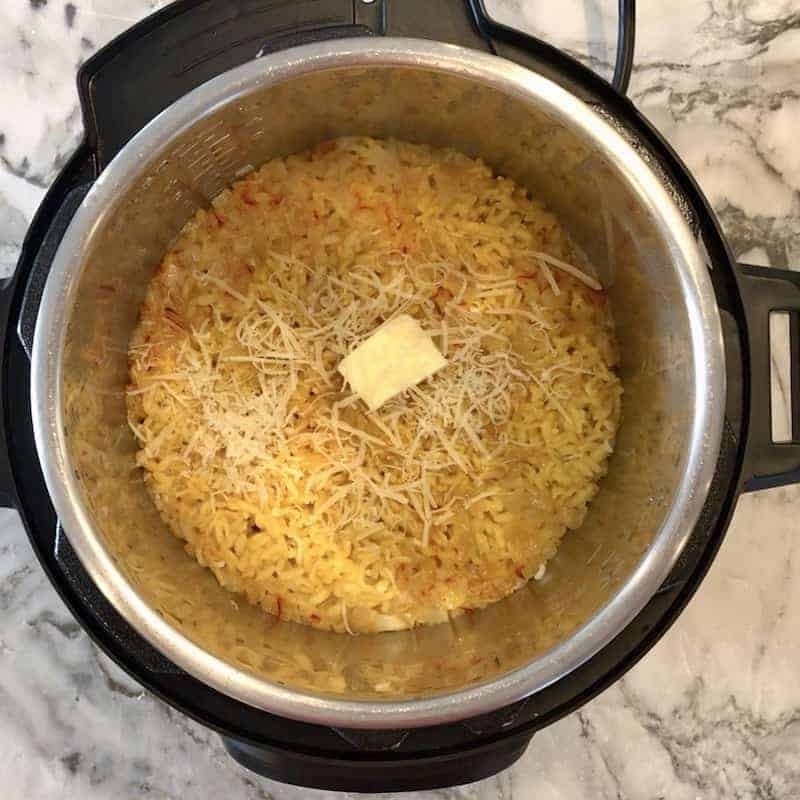 Open the Instant Pot and Stir in butter and cheese. While serving add more parmesan cheese, black pepper and garnish with thyme + crushed saffron in the center. I can’t wait to try this. I love risotto….any kind. 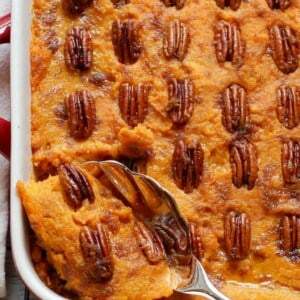 Have you doubled this recipe before? 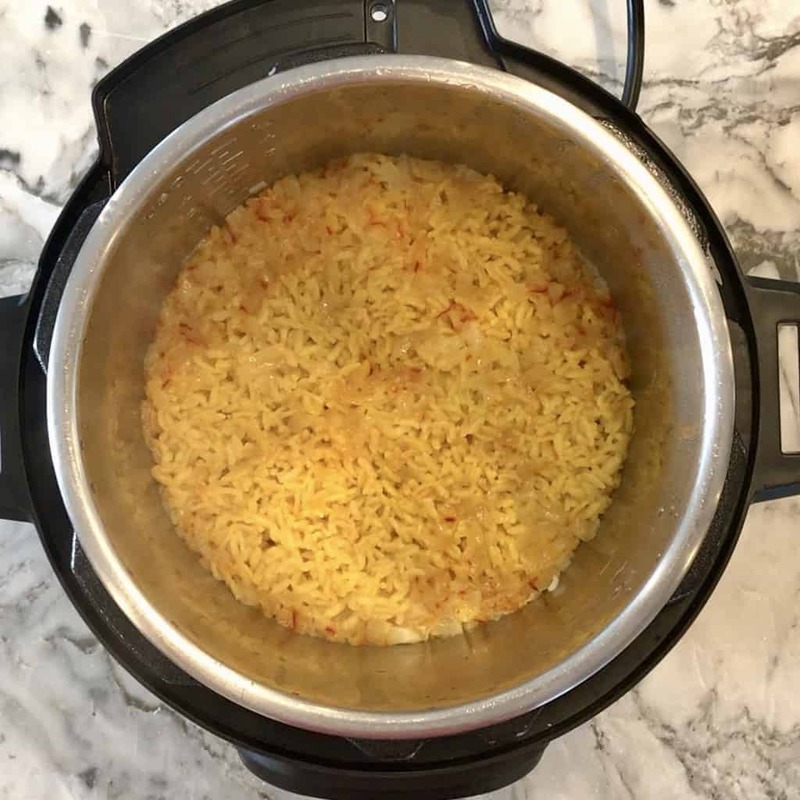 Is the time the same in the instant pot? Risotto of any kind is delicious,….and now even easier? Cool, can’t wait to try it! I planted the Blue Crocus Saffron bulb last year in hopes of harvesting my own saffron…really more out of curiosity. I even gave a bunch of bulbs to various friends as a gift. This spring I’ll see if any come up! 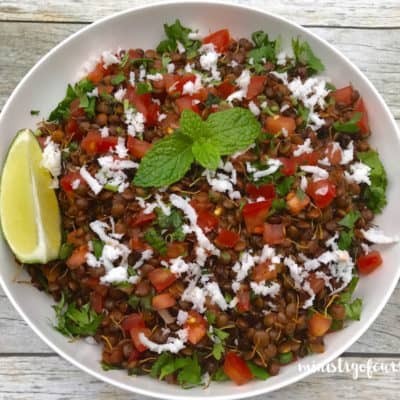 Love how easy and delicious this recipe is! 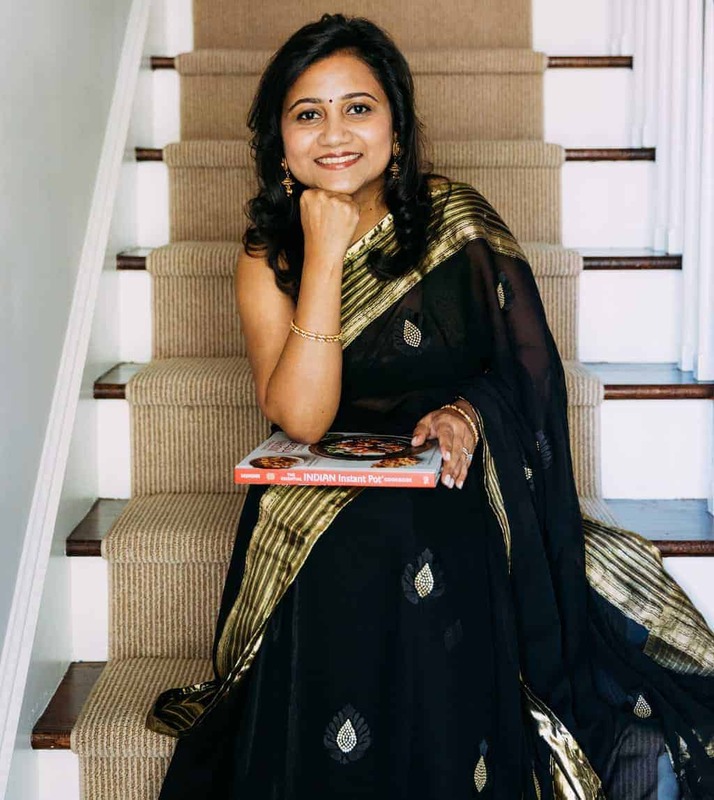 Archana is also so approachable if there are any questions on quantity etc.. love her recipes!